Dr. Ronald Latch was on his way to becoming a science teacher when he suddenly sustained a back injury. Lying on his back in pain for four days, he thought surgery was his only answer. His father suggested he see their local chiropractor first. Dr. Latch recalls the event, “I didn’t exactly crawl into the chiropractor’s office, but I was pretty close to it.” After a few visits, he felt tremendous improvement and was able to move once again. Dr. Latch decided to apply his love of teaching and science to his newfound interest in chiropractic; he wanted to be a chiropractor who helped his patients and educated them. Dr. Latch couldn’t be happier with his career choice. He began his practice in 1981. After being a chiropractor for more than 35 years, the most fulfilling aspect of his career continues to be helping patients get healthy and stay healthy. I love being around people. I’m a very approachable guy. I don’t make judgements. I listen and see how I can help. Dr. Latch graduated from Canadian Memorial Chiropractic College in Toronto, ON. During his time there he thrived and enjoyed being involved with the student community. He served as class president and ran social functions and fundraisers. He was also the first student to sit on the disciplines committee for the college. The energy and involvement Dr. Latch had during his chiropractic college years he continues to have within his community today. Dr. Latch is on the advisory board for the Order of DeMolay, helping youngsters organize fundraisers, club activities, and do community work. He also used to be a volunteer soccer coach and Canadian curling coach. When not in the office or working within his community, Dr. Latch enjoys being outside, camping and fishing. He also loves spending time with his family and friends. Get to know Dr. Latch for yourself! 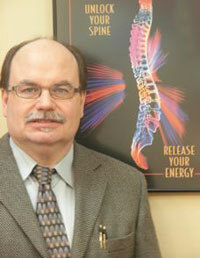 Contact Westmount Chiropractic & Massage at (780) 453-5751 to schedule your first appointment.